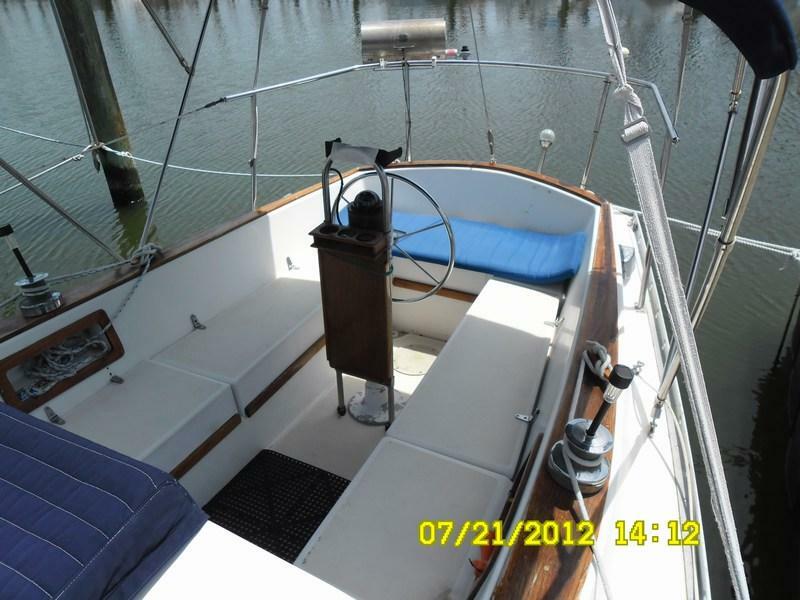 Built for the big water, I have owned it for almost 5 years. 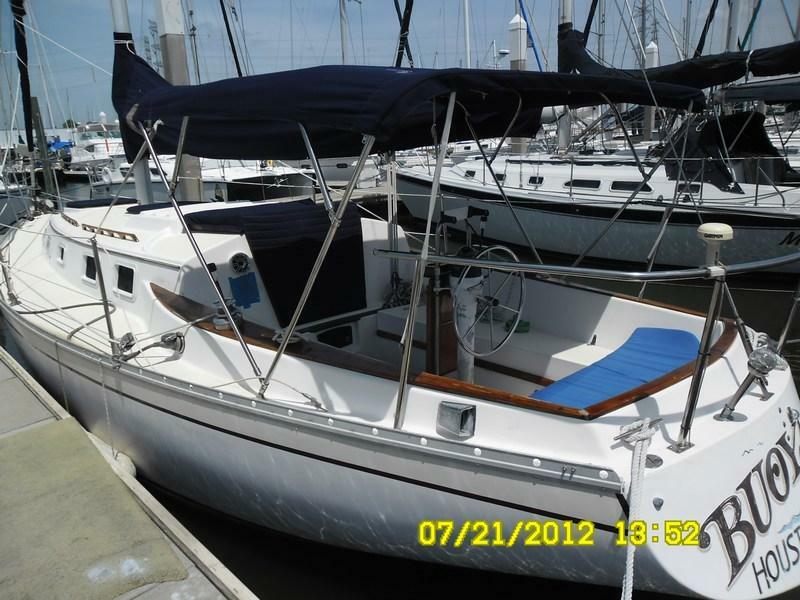 Electronics include a West Marine VHF Radio and Garmin GPS Chartplotter. 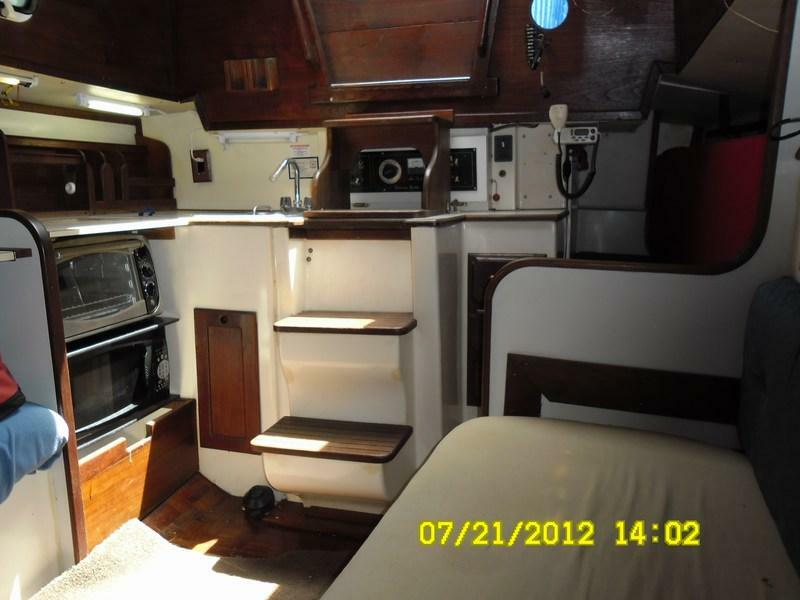 Galley Equipment includes an electric water heater, pressurized fresh water, microwave oven, new toaster oven and new 12 volt Adler Barber fridge and freezer. 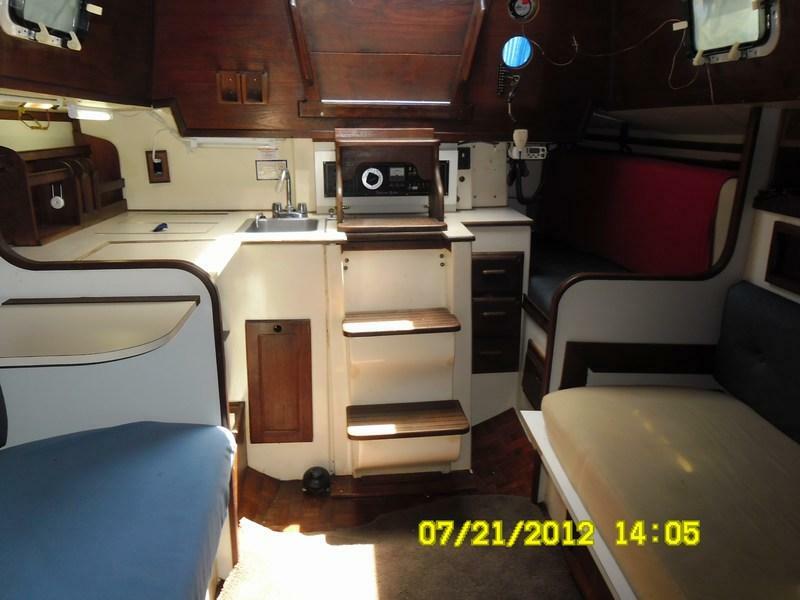 General Equipment includes sails, recently added Marine Air 16,000 BTU air conditioner w/reverse cycle heat, hood roller furler, new mainsail cover, new cockpit bimini top, new insulated companionway hatch cover, new insulated canvas deck hatch covers. 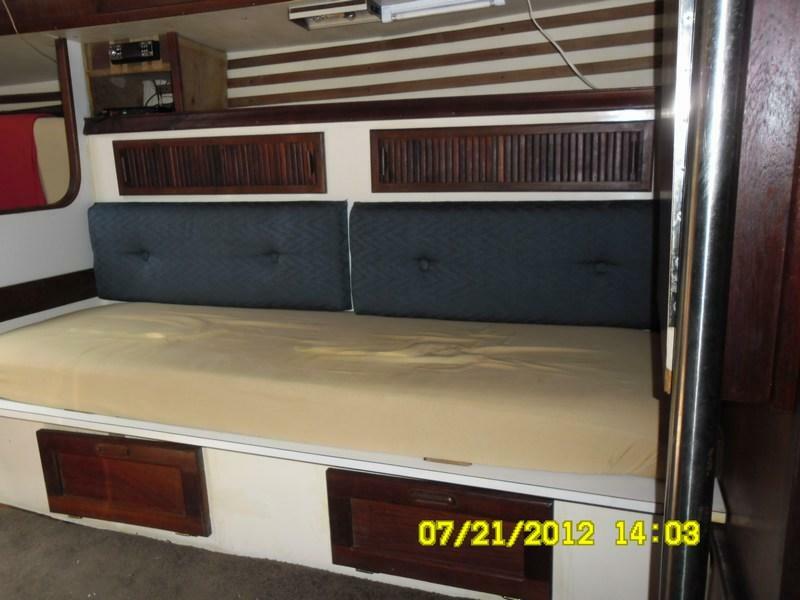 Entertainment equipment includes VR3 AM/FM Stereo CD Player, Phillips DVD Player,18″ Flat Planel TV, sound system and custom built teak TV cabinet installed in the v-birth.. Engine is a 21hp Yanmar with new exhaust and much more. 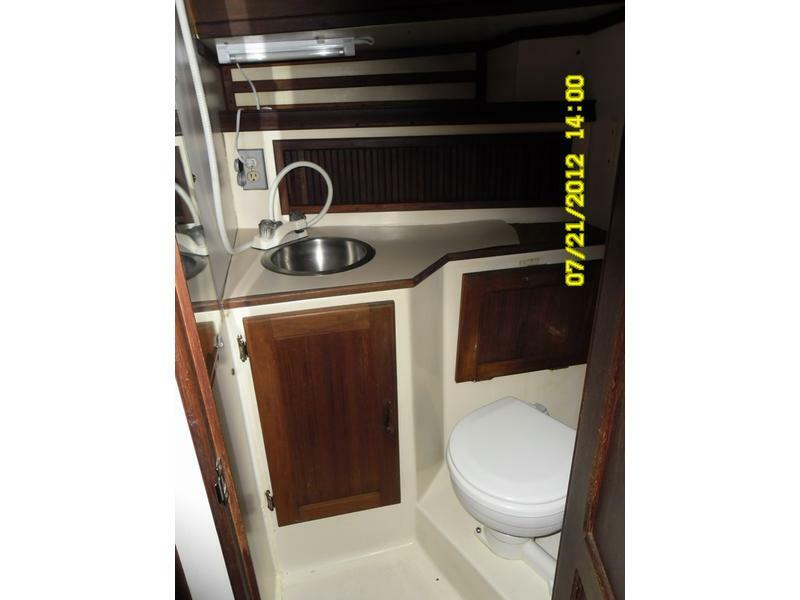 Recently renewed hull bottom with anti-fouling paint, all interior cabinet and bilge spaces are clean and freshly painted. 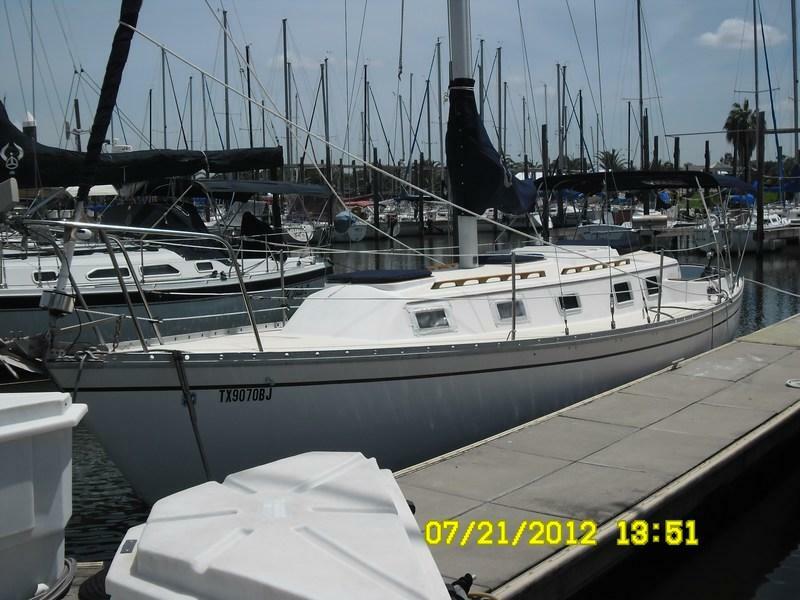 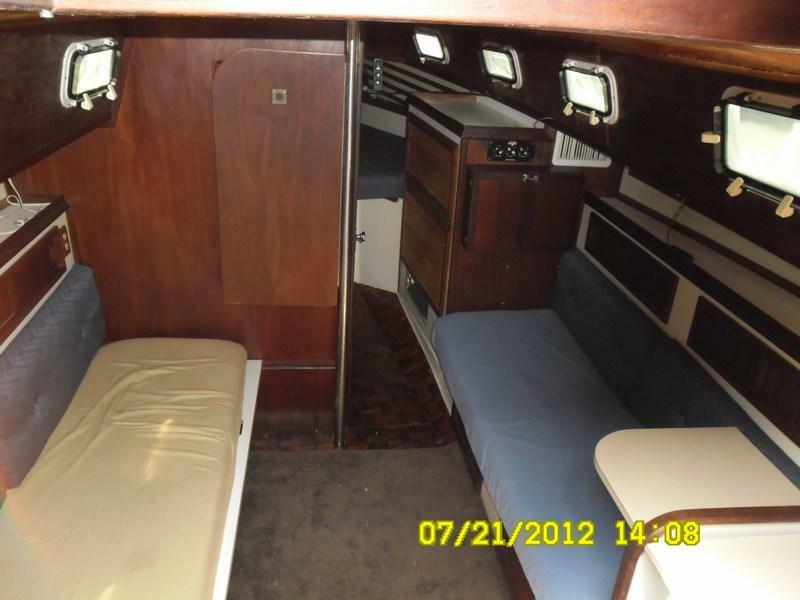 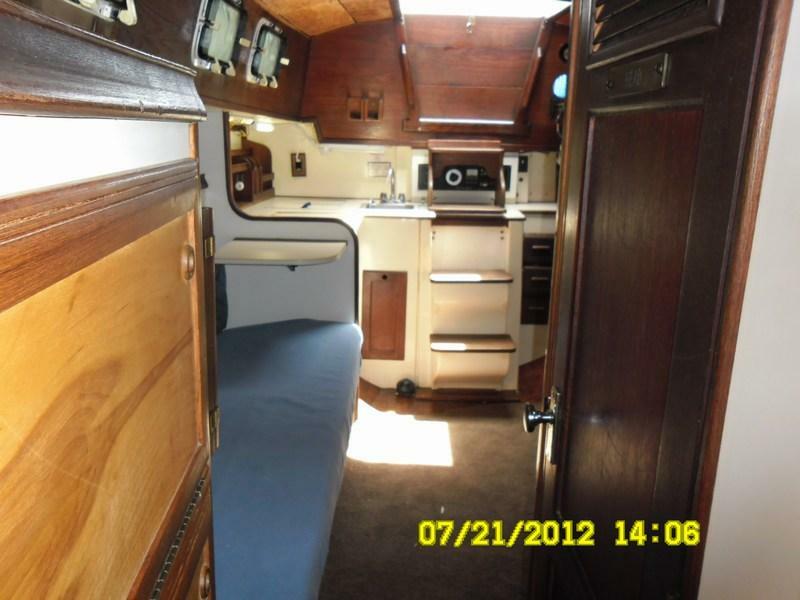 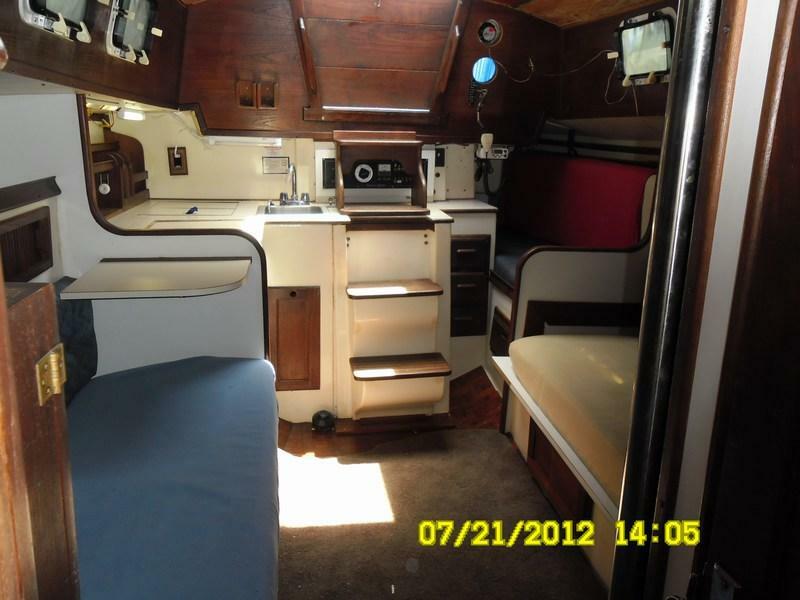 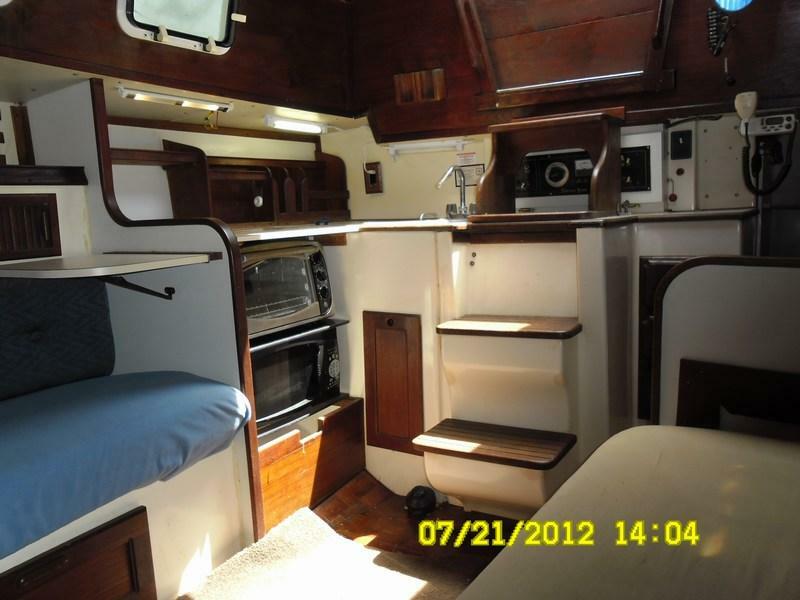 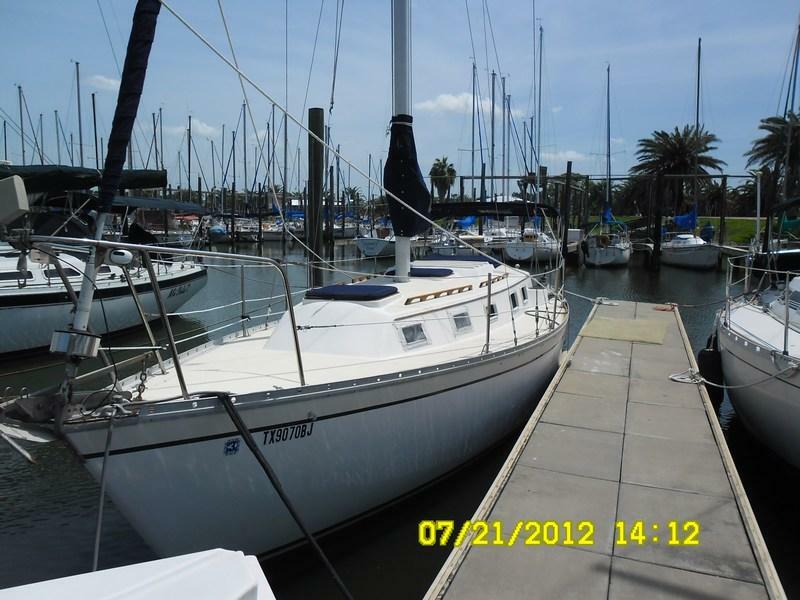 Needs a few minor cosmetic things but is super clean and ready to sail, live aboard, or weekend get away. 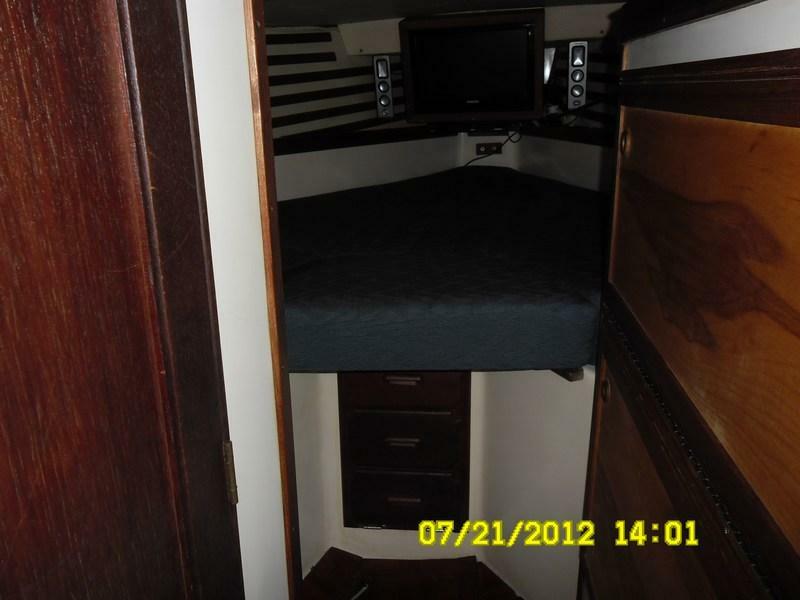 new 12 volt Adler Barber fridge and freezer. 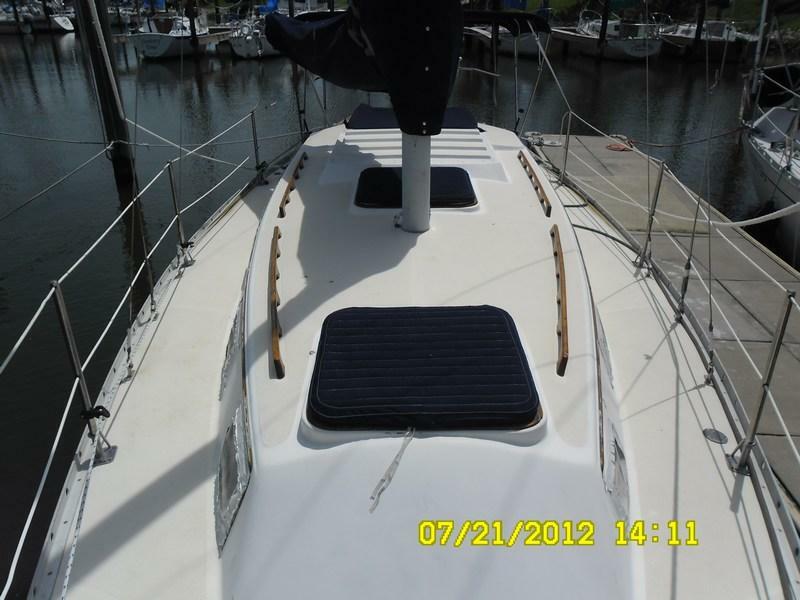 All new canvas which includes mainsailcover,cockpit bimini top,insulated companionway hatch cover,insulated canvas deck hatch covers. 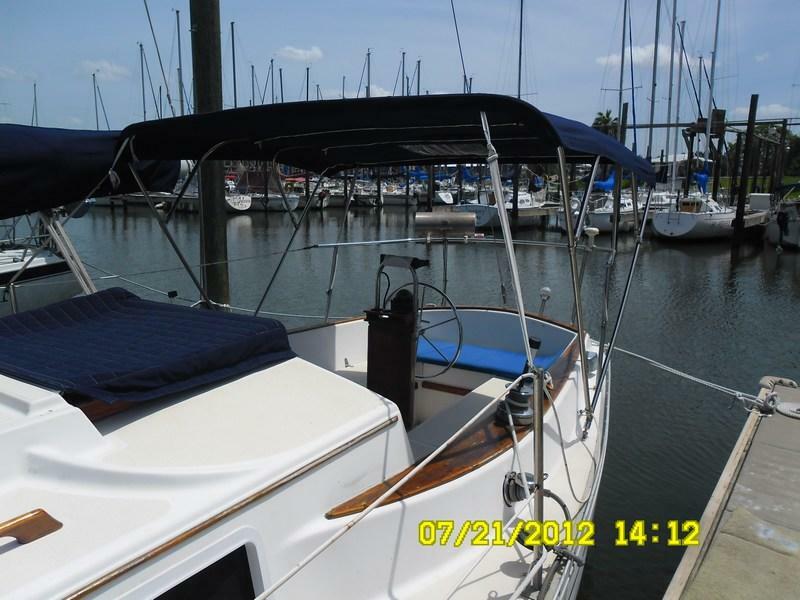 21hp Yanmar Engine with new exhaust and much more.